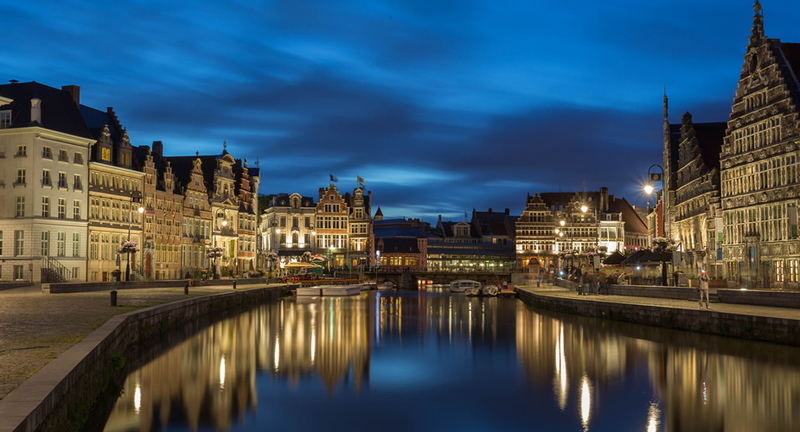 At first glance, Belgiums Ghent is a charming old city with antique houses, a winding network of canals, beautiful medieval churches, cobblestoned squares and fortresses. But those who take their time to get under the skin of the city, soon discover cutting-edge street art, funky cafés and modern art underneath the surface. Patershol is considered Ghent’s most desirable neighbourhood and you won’t need long to see why. The first houses in the quarter, leaning to the centre of town, were built as early as 1329 and were part of The Friary of the Calced Carmelites. Just a few decades ago most of the houses were restored and sold for a pittance, instantly turning Patershol into one of the most popular places to live in Ghent. Patershol is also the place to be when it comes to Ghent fine dining. It doesn’t matter if you’re in the mood for sushi or Thai food, you’ll find a restaurant to meet your taste in the neighbourhood. However, since you’re in the Flanders I suggest you go for something more local. 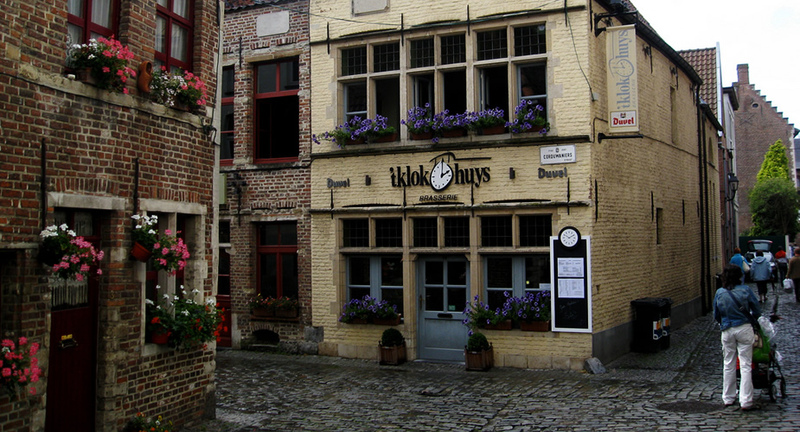 My favourite place is ’t Klokhuys where you can order some Flemish specialities like beef stew or waterzooi, I recommend you try some oysters as well. Instead of going to a museum to see some old Flemish Masters, just pay the St. Baafs Cathedral a visit. 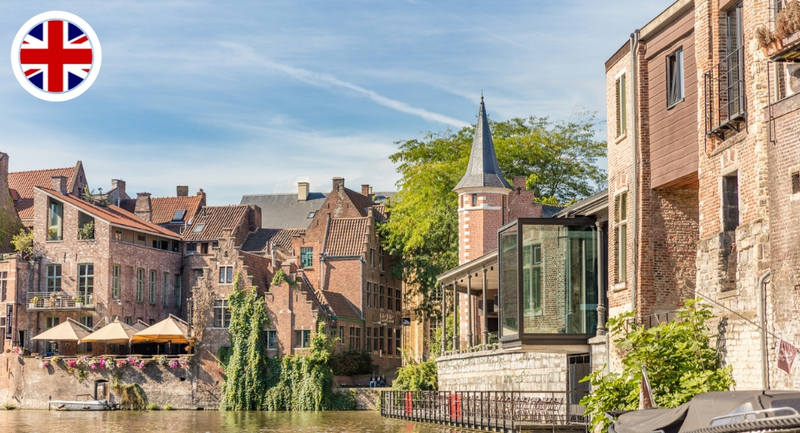 It’s the place to admire the beautiful stained glass windows, the Roman crypts and ‘The conversion of St. Bavo’ by Peter Paul Rubens, but first and foremost you visit the cathedral to take in the stunning work by the Van Eyck brothers ‘The Adoration of the Mystic Lamb’, also known as ‘The Ghent Altarpiece’. The masterpiece is kept in an especially climate controlled chapel and you have to pay and queue up to see the original. Momentarily, the altarpiece is being restored panel by panel. However, close to the church, tucked away in an alleyway you will find a special tribute to the masterpiece. 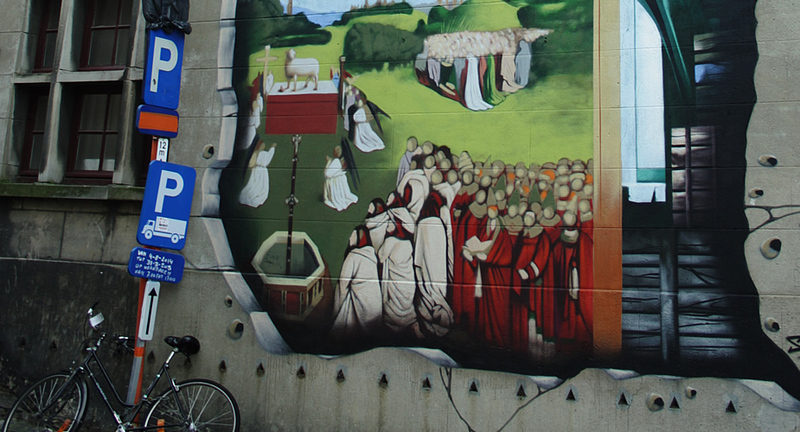 The Van Stoppenberghe street harbours a fabulous piece of street art honouring the movie Monuments Men in which George Clooney tries and finds masterpieces stolen by the Nazis during WW2, one of the pieces being The Adoration of the Mystic Lamb. This mural was even paid for by the Hollywood movie studio. But medieval art is not all Ghent masters in, au contraire. Ghent was the birthplace of some of the icons of the turn of the century, like the fathers of Art Nouveau Paul Hannon and Victor Horta. The Ghent Design Museum has a permanent collection containing complete interiors from the 17th until the early 20th century, making it one of the leading museums in Belgium to see cutting-edge applied arts. 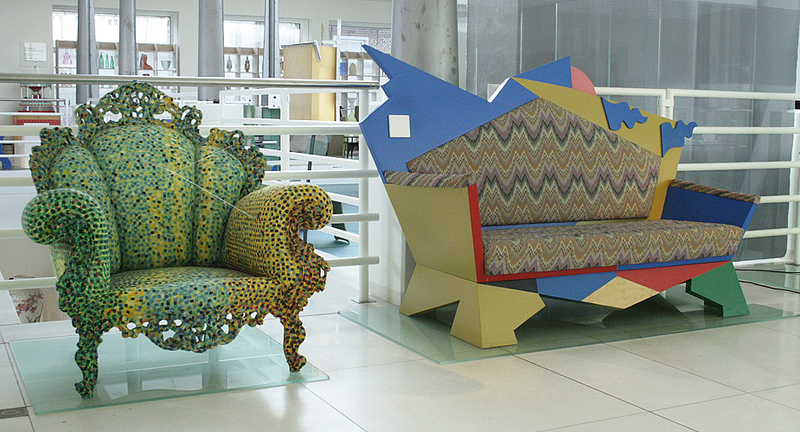 Year round the museum also hosts exhibitions focusing on twentieth-century and contemporary design. 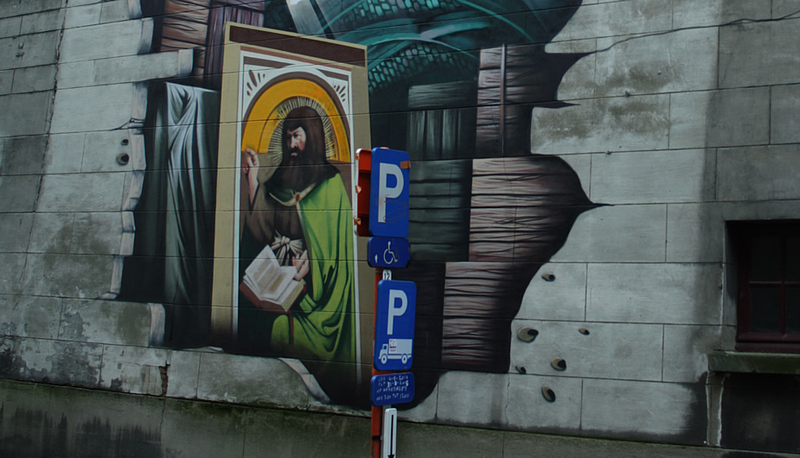 Although the Van Eyck brothers are definitely famous masters from Ghent, the city has moved on from this and finds itself has the epicentre of a new art movent: street art. 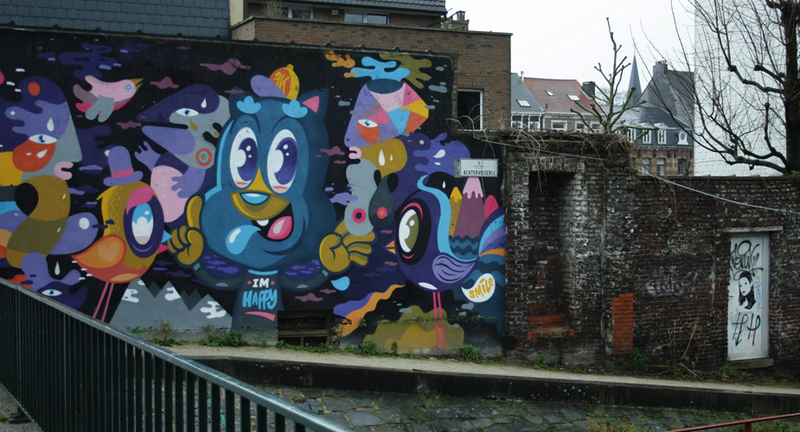 World’s most famous street artists are born and raised in Ghent, so surprisingly enough Ghent is one of the best cities in Europe to go street art spotting. You can download a map to go on a 7 km street art walk or a 15 km cycling tour. You won’t be disappointed with several works of locally born ROA and Bué the blue warrior. The former is a bit of a mystery, but his works are world famous. 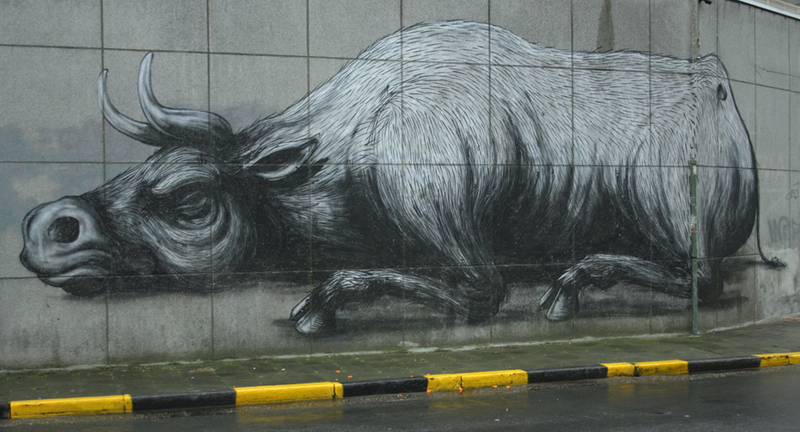 ROA almost only draws in black and white and paints animals that used to be indigenous to the region. I already spotted a hare in Cologne and a heron in London Shoreditch by ROAs hand and in Ghent, there are bulls, birds and rabbits to be spotted. Bué is quite the opposite with bright and cartoon-like works. He’s made many murals all over the city and he’s even recently launched an app about his work. 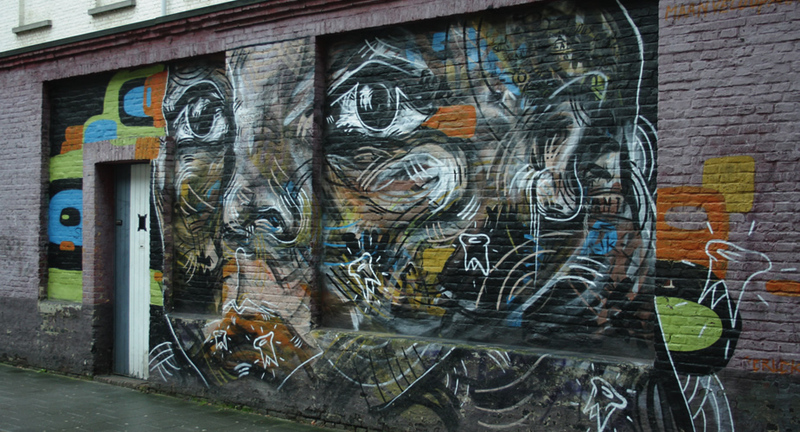 Read more about street art in Ghent. In Holland we admire the Belgians for their exquisite taste and fine cuisine. 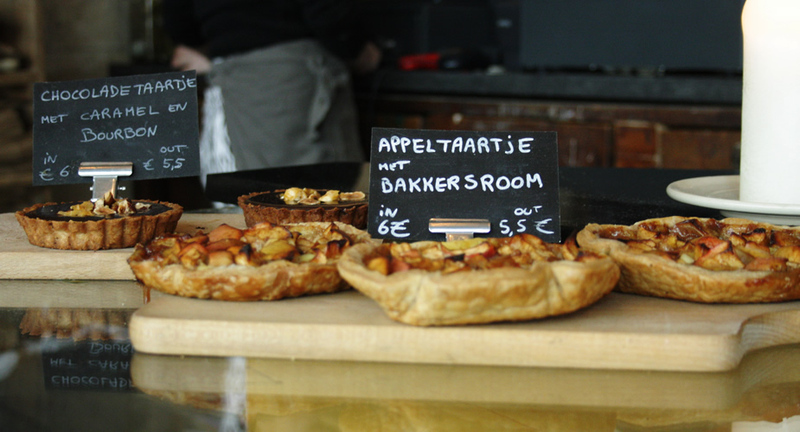 Especially in the Flanders they know how to enjoy life and all the yummy things it has to offer. So when in Ghent, do as the locals do and take the time to enjoy your food and drink. Start your morning at Julie’s House with the best coffee and cakes in town, to be enjoyed in the most beautiful 16th century building. To taste some great local produce I highly suggest going to Groot Vleeshuis. This grand old market hall is literally filled to the ridge with the best produce to be found in East Flanders: charcuterie, cheeses, small plates and dishes. Don’t forget to taste the local aperitif called RoomeR made from elderflower. My favourite lunch spot in Ghent is situated a little outside the city centre, but well worth the detour. At Superette you’ll find yourself amongst locals only and you’ll soon understand why it’s always bustling. There’s a small, but great lunch menu of big sandwiches, salads and quiches, all made from organic and local produce. Behind the counter, the most beautiful loaves of bread, spreads, syrups and pies are just begging to be taken home with you. If you’re not hungry, just stick around for drinks. Beer lovers don’t need to go any further than Café De Dulle Griet where the biggest and finest selection of Belgian beers can be tasted. Lobster lovers absolutely need to go to The House of Eliott where you can order lobster cooked and prepared in basically every way imaginable. At the start of the new millennium Ghents local counsil came up with a brand new ‘light plan’, which should not only result in a more effective and efficient way to light the city at night, but to also make people feel safer. 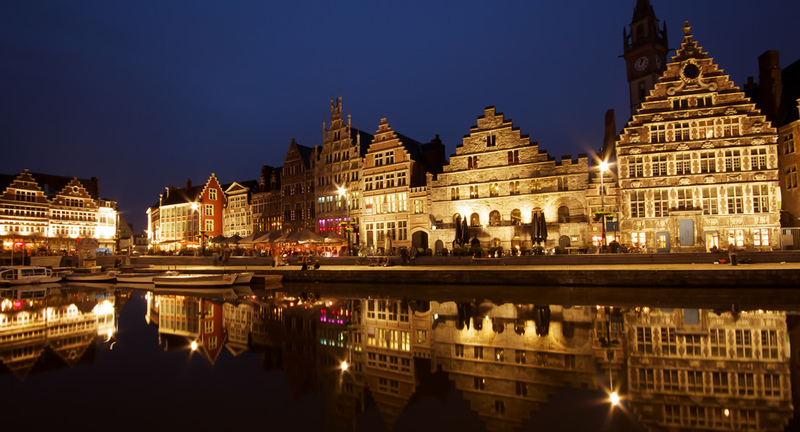 The side efcet of this practical plan was that all historical buildings in Ghent are now beautifully lit at night, perfect for an after-dinner stroll. 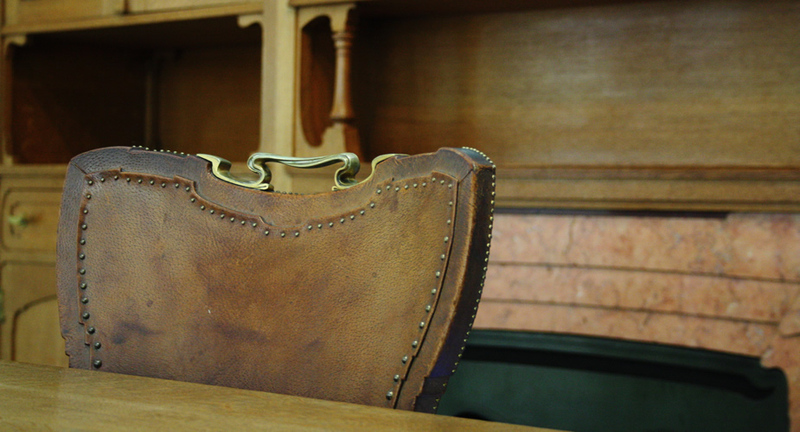 In a lot of cities you really have to look for the funky and quirky vintage and antique shop. Not in Ghent, here you just trip over them! Just wandering about you will see lots of fun shops and you’ll be able to take the best finds home. On Fridays, check out the flea market at St. Jacobs square and the surrounding antique stores. A particularly intriguing shop is The fallen angels, a nice little nook in the center center, completely packed with knickknacks and toys from the 18th century to the sixties. It doesn’t get more nostalgic than this. Please don’t skip Priem (at Kraanlei 8) for the most stunning vintage wallpaper. 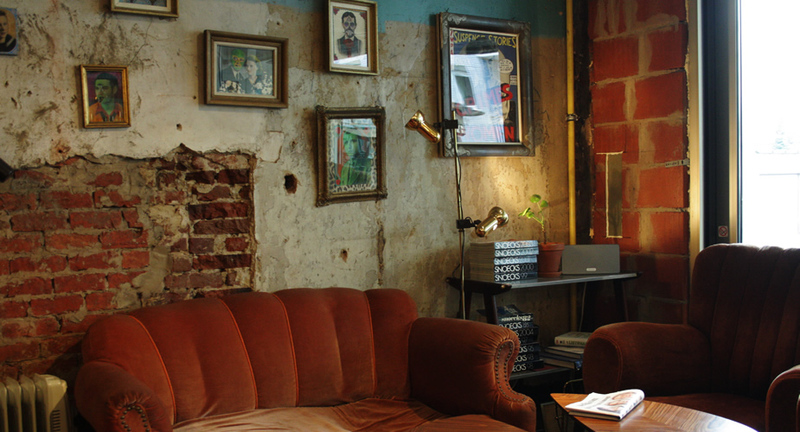 Check out all vintage and retro gems in Ghent. Hotel-wise Ghent definitely isn’t a budget destination, with rates ranging from €100 to €130 being the average rather than the exception. 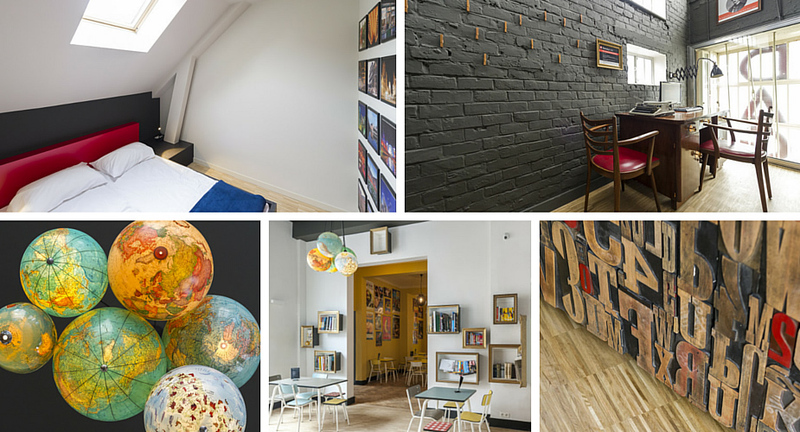 So I was very pleased to discover Backstay Hostel, one of the nicest stays in town. Not only can you stay in a double room for €62 to €74 per night, Backstay is also a great place to meet locals. Backstay used to be the head office of local newspater ‘Vooruit’ and you’ll see traces and signs of those days allover the place. From the especially designed blogger rooms, where digital nomads can work on their blogs in peace, to the fully stocked bookshelves in the café. This is also the place where locals and travelers meet as the bar is a particular new and fun hotspot in town. 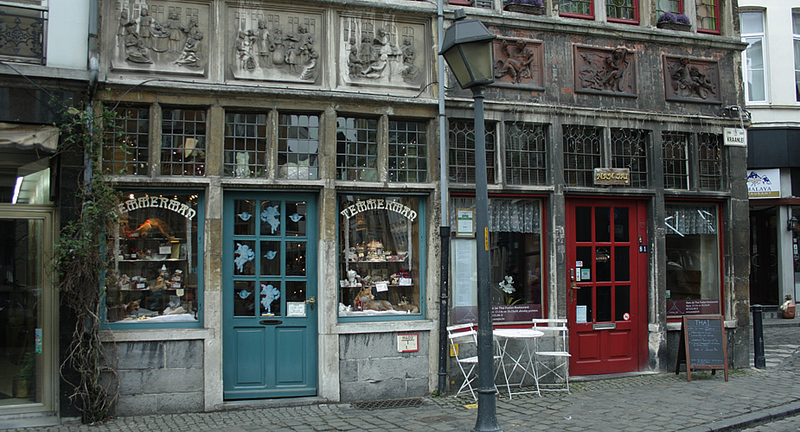 Have you visited Ghent? What did you think of it? 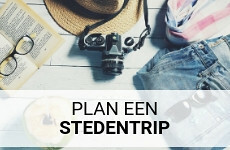 Mooistestedentrips.nl means ‘most beautiful city breaks’ in Dutch, and that’s what this blog is all about. Would you like to read more about the best hidden gems in the most beautiful cities? 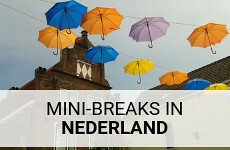 How about reading about beautiful Bruges and Utrecht (The Netherlands). Take a look at my articles in English. Wow! Ghent looks amazing. I’ve never really thought about visiting but I think I might consider it now. What a cute town! Thanks for introducing Ghent to me, I have never heard of it before. I want to live in Patershol. Ghent looks absolutely spectacular. I hope I’ll get to see it someday. 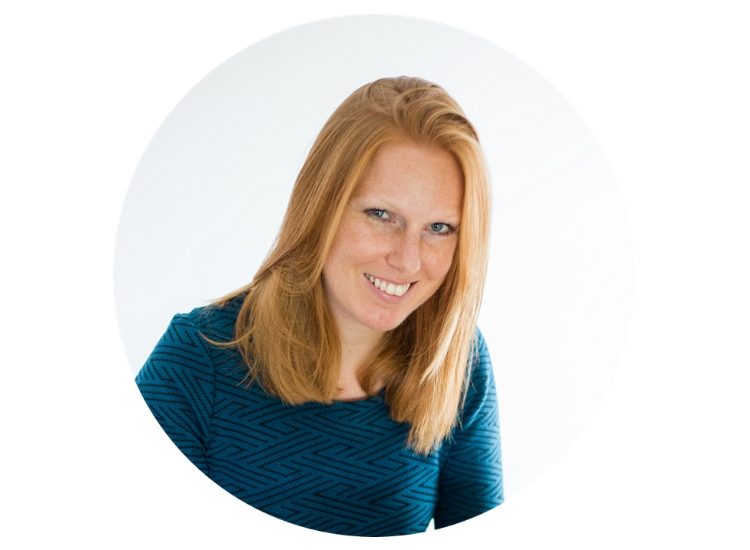 Geweldig leuk artikel! 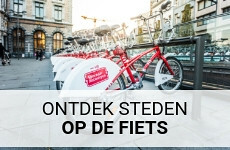 Ik ga over 2 weken naar Gent, dus deze informatie komt als geroepen. Your article was especially helpful to plan my trip to Ghent. Thanks for this article and keep up the great work!